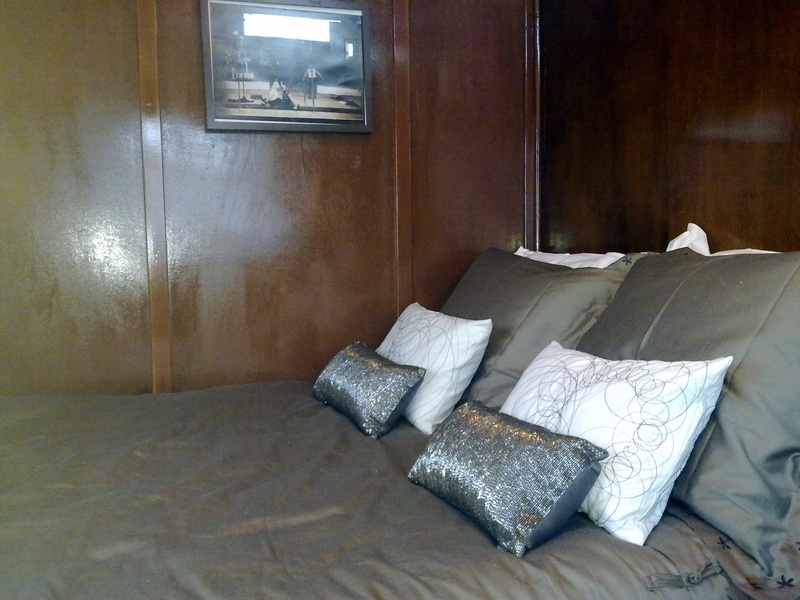 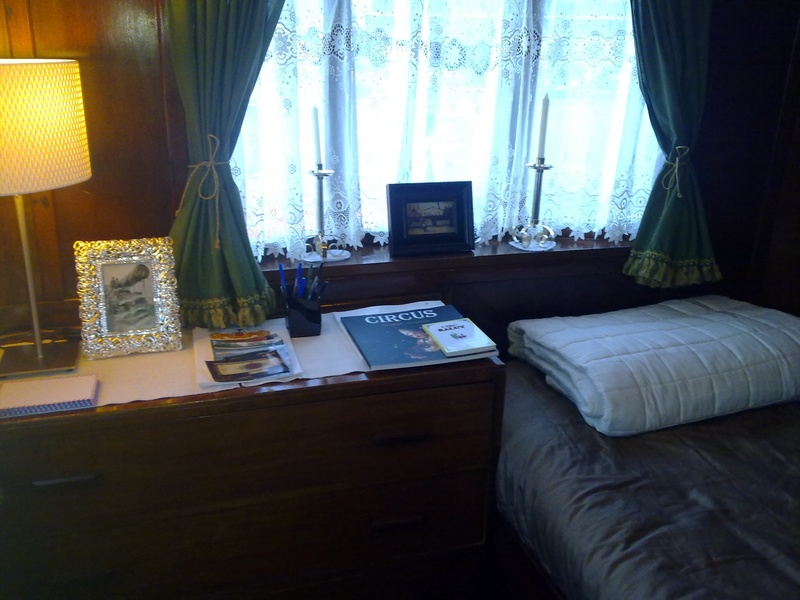 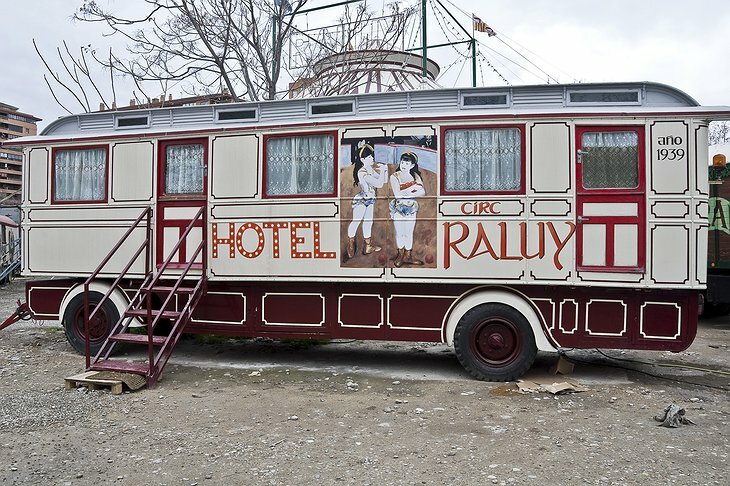 Stay in a circus trailer from the early 20th Century. Once used to house circus performers, this traditional circus trailer has been restored and renovated so you can stay in these unusual quarters. 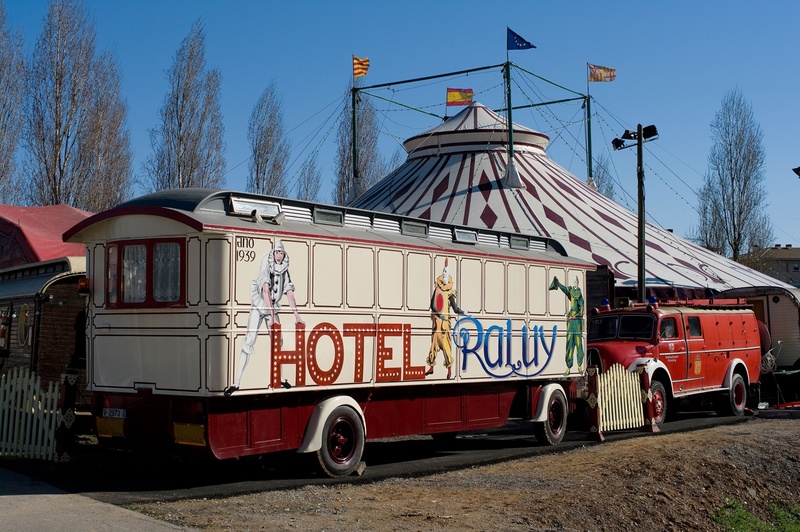 The hotel travels with the famous Raluy Circus all over the world so make sure you check to see where its current location is. 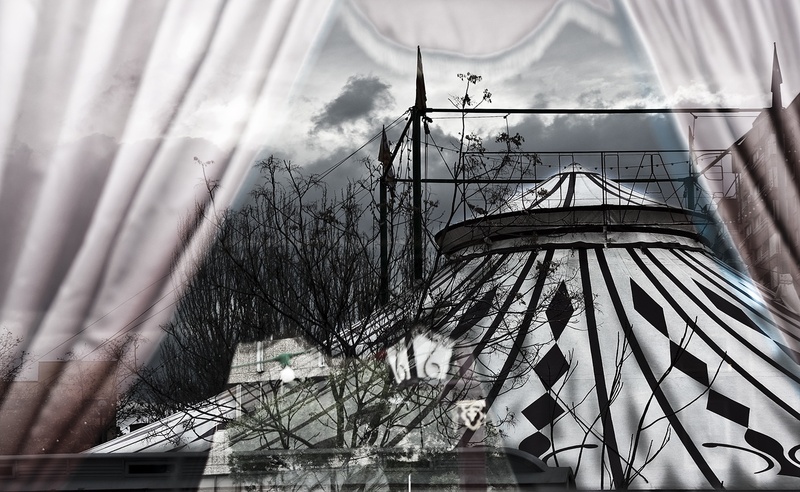 When you visit, prepare to see circus life behind the scenes: the knife throwers practicing their art, the clowns applying makeup and even take part in the show yourself. 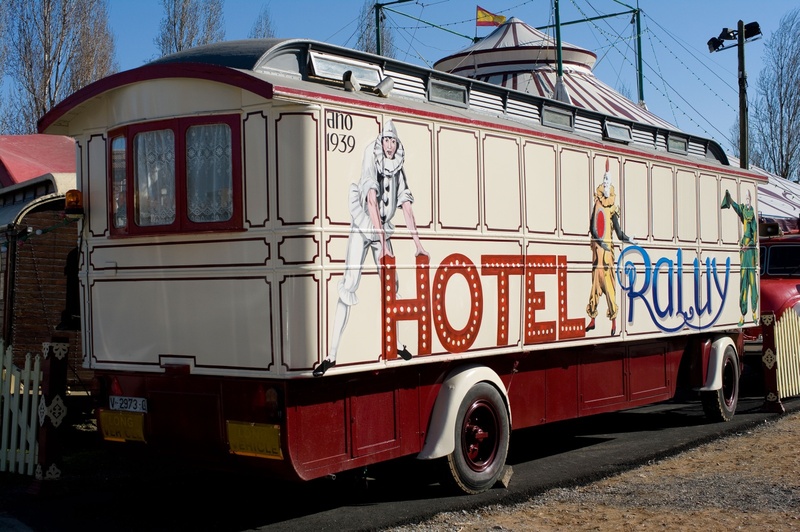 Hotel Raluy also salvages old circus trailers from Germany, Romania and UK and restores them to become part of their own museum of circus history. 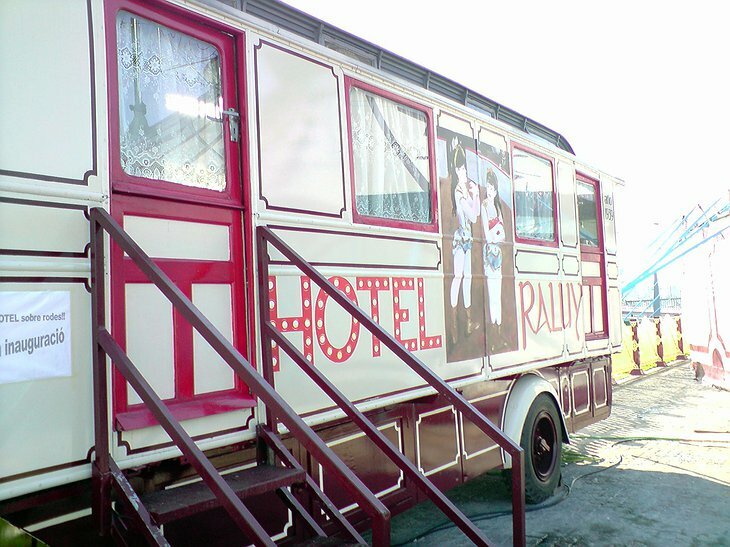 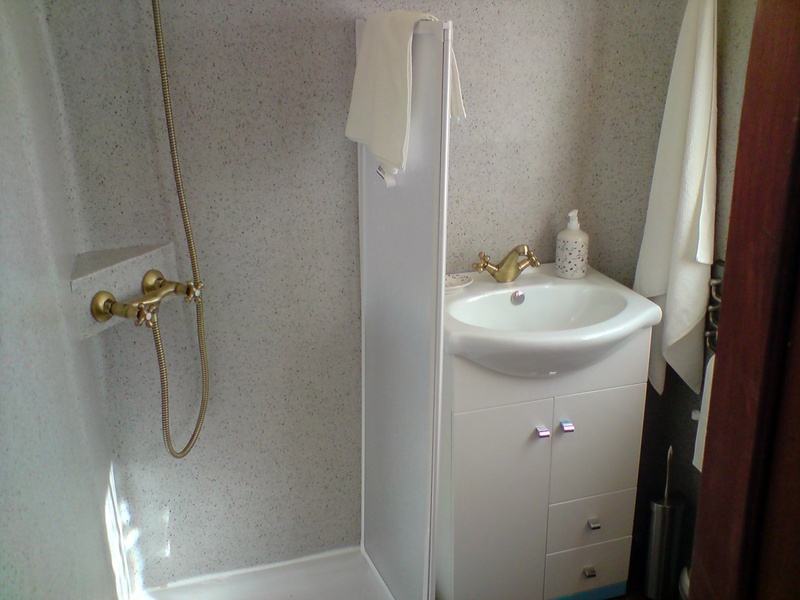 The wagon has capacity for six people, shower, and television. 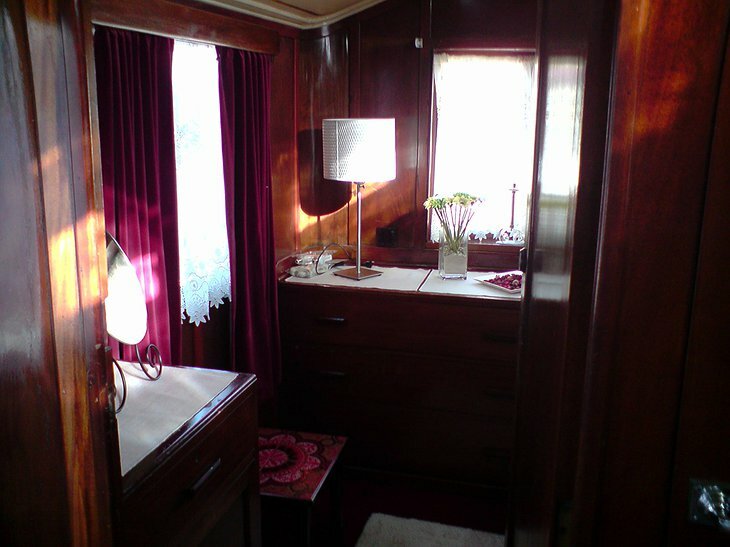 It is climate controlled.